Do you believe in ghosts? You just might after spending a night in the haunted Moonville Tunnel. 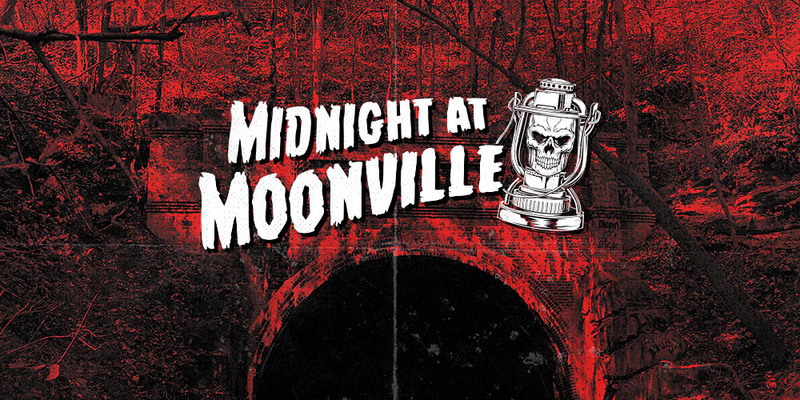 Midnight at Moonville is a Halloween-themed event featuring dramatic storytelling, wagon rides, regional craft vendors, souvenirs, historical presentations, music performances, a haunted trail, and much more. The event will end with an interactive demonstration of paranormal investigation techniques hosted by a respected research group. The event will be held on Saturday, October 13, 2018, from 3 to 11 p.m. Parking will be at 71945 Shea Road, McArthur, Ohio 45651. There will be a $5 parking charge per vehicle, but most activities and entertainment are free. For directions, visit the 2018 event page. For more information, call the Vinton County CVB at 1-800-596-4459. 6:30 p.m. – Music performance by Ben Davis, Jr.